1 Visitors make snowmen beside a pool at a hot spring in Hangzhou, in China's eastern Zhejiang province. 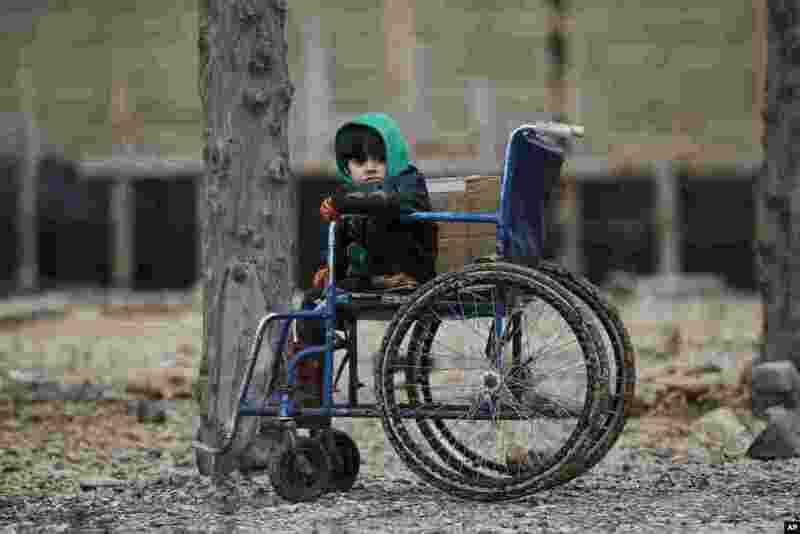 2 A Syrian child sits on a wheelchair after he and the family crossed into Turkey, in the Oncupinar border crossing with Syria, known as Bab al Salameh in Arabic, in the outskirts of the town of Kilis, Turkey. 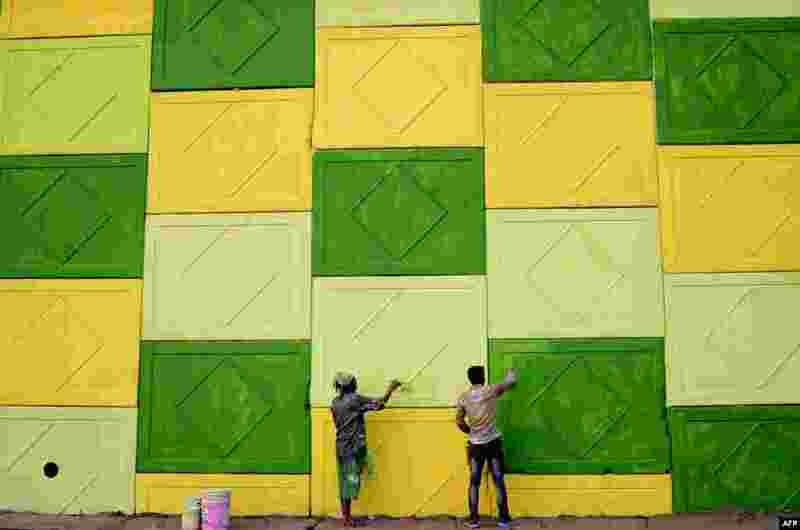 3 Indian workers paint the wall of a flyover on a road in Jalandhar. 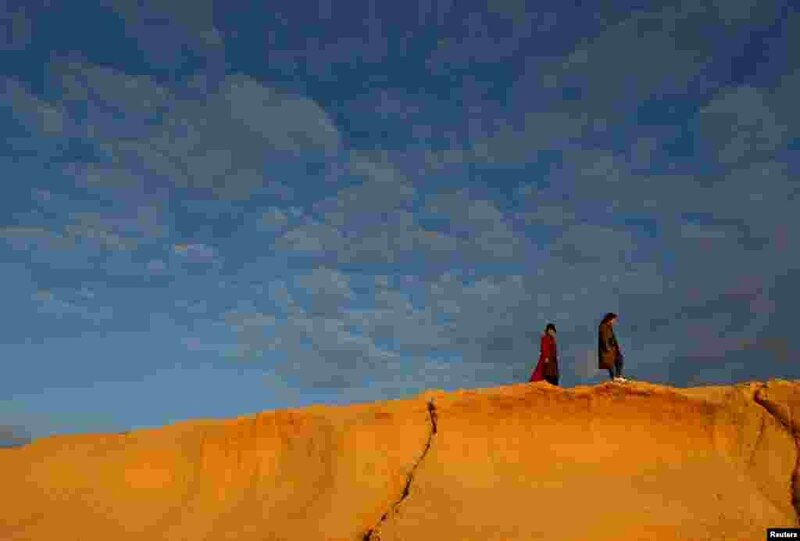 4 Tourists walk along the coastline at Dwejra outside the village of San Lawrenz on the island of Gozo, Malta.